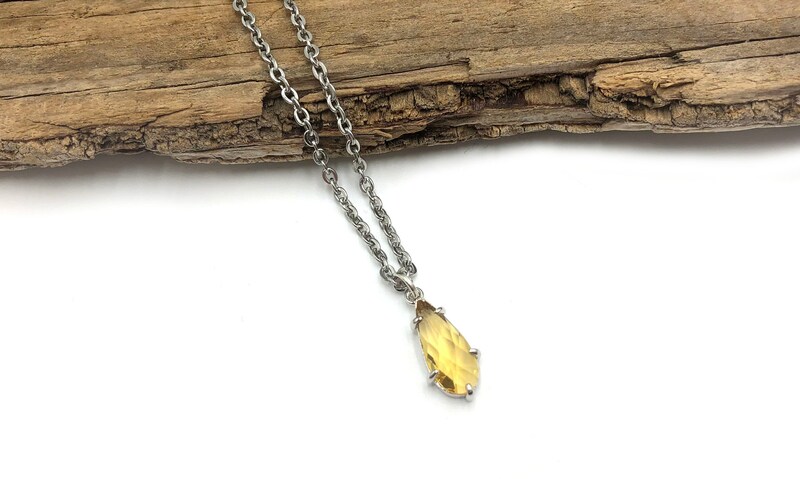 This beautiful yellow drop necklace is 14 inches long with a 5 inch soldered extender. Lead and nickel free. Pendant was smaller than expected, but very beautiful nonetheless.